Mainly, though, we’re very pleased to provide some good news for previous winners of the James White Award. 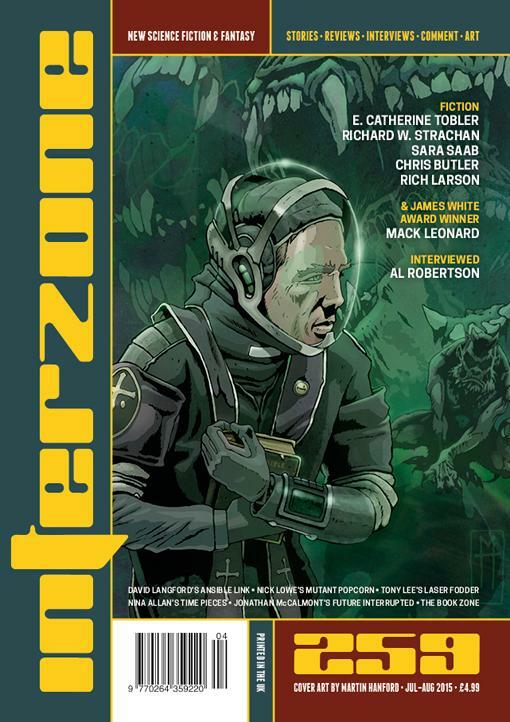 The 2015 winning story, “Midnight Funk Association” by Mack Leonard has been published in Interzone no. 259 – and very fine it looks too. We’re also happy to announce that 2014 competition winner “Beside the Dammed River” by DJ Cockburn was included by Gardner Dozois in The Year’s Best Science Fiction: Thirty Second Annual Collection (available now) and placed a very creditable third in Interzone’s reader’s poll for last year. In addition, as has become something of a tradition for James White Award winners, the story was translated into Italian (as “Nei Pressi del Fiume Prosciugato dalla Diga”) and included along with competition-winning stories from around Europe in the anthology La Maledizione.